As the preferred destination for vacation and business by millions of people annually, MGM Resorts International offers spectacular and state of the art casinos and hotels. Based in Nevada, MGM Resorts International operates a chain of gaming, entertainment and hospitality resorts. Due to the excellent service offered in the resorts, users have characterized it as a paradise. The destination resorts offered by the company are meant to provide an experience to remember with first class accommodation, dining, and entertainment. Other facilities that are coupled in the resorts are meeting and convention facilities and also quality retail and gaming experiences. The company is committed to treating guests with luxury and exceptional care. Founded in 1987 as MGM Grand Inc., the company started its operations as a charter airline called MGM Grand Air and later acquired Mirage Resorts to becoming MGM Mirage in 2000. 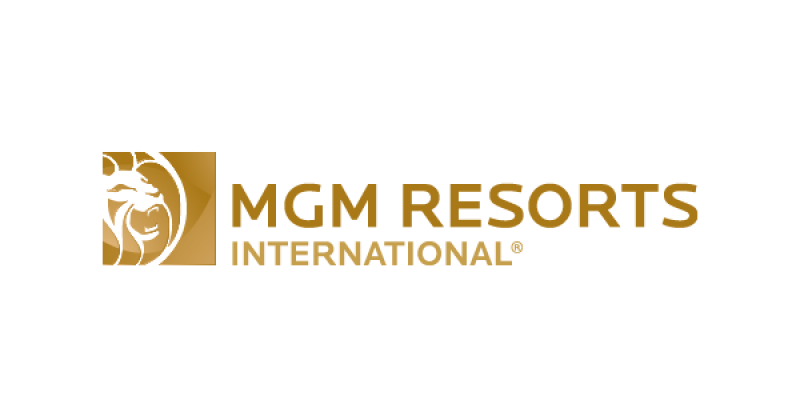 In 2010, the company further changed its name to MGM Resorts International to reflect the brand of its hotels and expand its global experience. However, the history of the company is affiliated with Kirk Kerkorian who bought the Flamingo and constructed an international leisure company in 1967. As of 1973, he opened an MGM Grand in Flamingo corner and Las Vegas Boulevard with 2100 rooms becoming the world’s largest hotel and in 1978 the Grand Reno opened. Kirk Kerkorian is heavily affiliated as an influential figure in shaping Las Vegas. He was an American businessman and investor with an Armenian origin and his role in the rise of casinos and hotels in Las Vegas cannot be overemphasized. He builds the international hotel, the MGM Grand Hotel, and the MGM Grand which are total under the umbrella of MGM Resorts International. Architect Martin Stern Jr. was also another influential person in laying the foundation for the modern MGM Resorts International. The company operates a list of 15 properties located in Nevada, Mississippi, and Michigan. Other earnings of the company come from investments. There two operational segments for the company; the MGM China and the wholly owned domestic resorts. The casino resorts cater for hotels, convention, dining, gaming, and entertainment as well as retail and other resort amenities. Also, there are other business activities that include corporate and management operations and investments, especially in unconsolidated affiliates. It further owns Shadow Creek which is a golf course 10 miles north of its clubs in Las Vegas. It also owns and manages the City Center Holdings LLC in Bellagio Monte Carlo. The Mandarin oriental Las Vegas which is a non-gaming boutique hotel is also under the ownership of MGM Resorts International and Crystals, Vdara, Grand Victoria, Borgata Hotel and a riverboat casino in Illinois. In China, the operations of the company consist of casinos and resorts (MGM Macau). The coast strip in Macau is especially popular for entertainment, hotels, and casinos. They possess a controlling on MGM China Holding LTD that owns the grade paradise. The company is widely known for the inclusion of diversity and has earned various awards such as the 40 best companies for diversity, the best place to work and as one of the top regional and top 100 companies for MBA students. It maintains a mark as one of the most admired companies in the world.